The Tour: You will be travelling, visiting places of interest, painting and engaging in Batik printing, all under the guidance of Dorothy. You will be staying 2 nights in the city of Amritsar, visiting The Golden Temple, enjoy 8 nights at Basunti Resort, followed by a 3 nights stay in the town of McLeod Ganj (you will be visiting places of interest, including the Dalai Lama residence and temple, and enjoy the shopping…). You will also visit Norbulingka, the Institute for the Preservation of Tibetan Arts and Crafts. There will be one additional nights back in Amritsar before flying home. 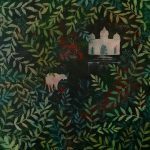 About Dorothy Morris: Dorothy is a well-known artist, currently residing and working in Wales. 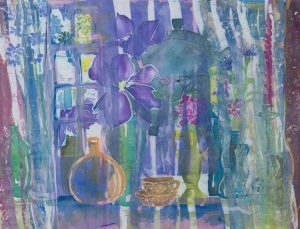 She works with a wide range of materials including textiles, ceramics, mixed media and more traditional mediums such as watercolours and acrylics. She has a BA (Hons) in Fashion and Textiles and an MA in Fine Art, which she gained from The Swansea Institute of Higher Education. 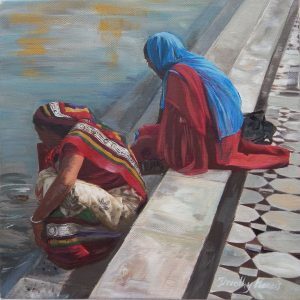 Dorothy is an experienced art teacher & lecturer and a practicing artist who has exhibited widely in Wales, Britain and abroad. She is currently the Wales area representative for The Batik Guild.